The Shelton baseball team fell to Capital for the second time in two days, losing 10 to 5 Wednesday. The Highclimbers scored four of their runs in the 2nd inning. After the Cougars got on the board with a solo home run from Chase Cleveringa in the top of the inning, Capital starting pitcher Zach Burke gave up three consecutive walks to load the bases. After striking out Max Johnson, Burke walked in Shelton’s first run. Ty Smotherman followed with an RBI single and Brenden Engstrom hit a two-run triple. The Cougars got two runs back in the 3rd inning on a two-out, two run double by Kyle Johnson. Capital took back the lead in the 4th on a Carson Kero sacrifice and a two-run single with two out by Gabe Taylor. Shelton’s Max “Falcon” Johnson had a sacrifice fly in the 5th to give the Highclimbers their fifth run. The Cougs then added three more runs in the 6th on RBI singles from Taylor and Johnson, and a sacrifice from Kyle Casperson. Capital added an insurance run with a solo home run by Grady Lindekugel to lead off the 7th. Gabe Taylor was 3 for 4 at the plate with three RBI and two runs scored. Kyle Johnson went 2 for 4 with three RBI. Grady Lindekugul was 3 for 4 with home run. Chase Cleveringa was 2 for 4 with a home run. Ty Smotherman was 2 for 4 with an RBI and a run scored. Brenden Engstrom was 1 for 4 with two RBI. Max “Falcon” Johnson batted in a run. Josh Deemer, Trey Dehning, Austin Ramsfield and Blaine Van Aagten each scorced run. Shelton drops to 2-and-3 on the season, 0-and-2 in the South Sound Conference. The Highclimbers host Brewster Friday in a non-conference game on MasonWebTV Powered by HCC. 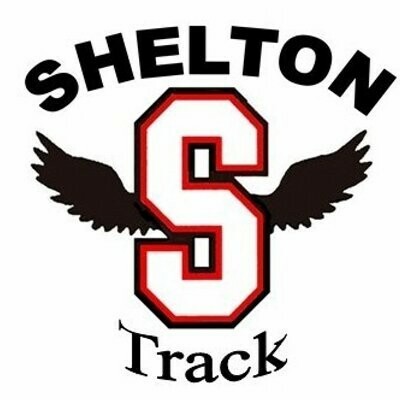 The Shelton girls’ track and field team beat Black Hills (79 to 38) Wednesday but lost to Capital (88 to 54) while the ‘Climber boys lost to both teams (Capital over Shelton 88 to 53; Black Hills 69, Shelton 58). Brock Knowles won the boys’ 400 meters. Willian Johnson won the boys’ 800 meters. Eve Hunter took the girls’ high jump. McKenzie Salazar-Fox won the girls shot put and the girls’ discus. Victoria Silverman took the girls’ 100-meter hurdles and the girls’ 300-meter hurdles. Kyle McGregor won the boys’ shot put and the boys’ discus. Miracle Horne took the girls’ 400 meters and was 3rd in the girls’ 100 meters. Tyler Youngquist won the boys’ triple jump. Austyne Cralle was 2nd in the girls’ 100 meters. Alauna Carstens placed 2nd in the girls’ 800 meters. Sirius James took 2nd in the boys’ 1600 meters. Sebastian Engel was 2nd in the boys’ shot put. Keagan Leach placed 2nd in the girls’ high jump. Raymundo Mendoza took 2nd in the boys’ triple jump. The team of William Johnson, Brock Knowles, Tyler Youngquist and Ethan Bursch won the 4×400 relay. Saturday, the Shelton track teams compete in the 33rd Curtis Viking Relay Championships at Viking Stadium on the campus of Curtis High School in University Place. The North Mason baseball team dropped their second game in a row Wednesday at Sequim losing to the Wolves 10 to 1 in Olympic League play. 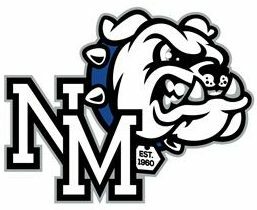 The Bulldogs were led in the loss by Jakob Stark who went 2 for 3 at the plate with two doubles and scored NM’s run. Ethan Collins was 1 for 3 with an RBI double. And Preston Macomber had the other Bulldog hit going 1 for 3. The boys from Belfair drop to 2-and-5 on the season, 0-and-2 in league play. North Mason hosts Bremerton Friday. The North Mason softball team lost at Sequim Wednesday 9 to 2, dropping their Olympic League opener. The Lady Bulldogs are now 1-and-4 on the season. The girls from Belfair host Bremerton Friday. The North Mason boys’ soccer team was shut out by Port Angeles Wednesday three-nil (3 to 0). The Bulldogs drop to 2-3-and-1 on the season, 1-and-2 in the Olympic League. The boys from Belfair travel to Bremerton Saturday. The North Mason girls’ tennis team lost at Olympic 7 to 0. The Lady Bulldogs travel to Sequim on Monday.